You are currently browsing the archives for the Moodle category. 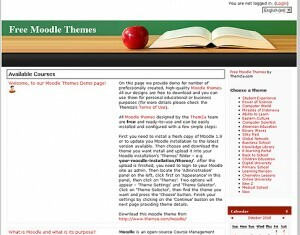 If you are a present or potential use of the Primary School Moodle theme, you will be glad to hear about the newly released video tutorial guiding you through the layout features and customization options supported by the theme. 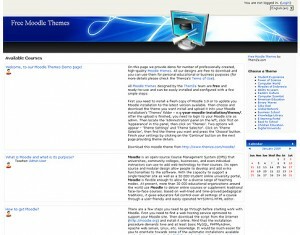 Check out the newest Moodle theme we have released for you today. Medical Specialities is a clean design solution for your online medical university. Download for free a clean-design template for your Moodle-based elearning portal – High School Classes. Download the Chemistry Lessons Moodle theme for your e-school portal on chemistry, molecular biology and other environmental sciences. 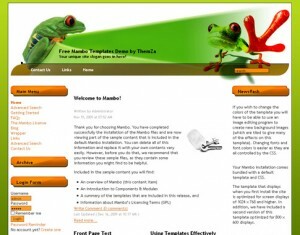 Bring tropical paradise onto your site with the new Tropical Fauna Mambo template, available for free download. Learn how to easily customize the layout of the E-learning Portal Moodle theme, by watching its dedicated video tutorial. Watch the new Digital University Moodle video on how to easily customize the layout of your e-learning portal. 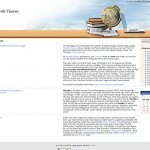 Learning Horizon – the new Moodle e-learning theme is now online, a download click away from you. Set up your e-learning portal with a few clicks today.